ALTUS-SEAL is the first Filipino engineered and manufactured world-class mechanical seals for industrial pumps and mixers. We produce mechanical seals according to international standards conforming to API 610/682, DIN 24960, ISO 3069 and JIS (Japanese Standard) with same design and fittings. 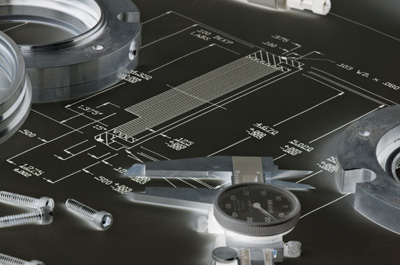 Our engineering team consists of over a decade of experience in the design of mechanical seals. Upon knowledge of the sealing environment; pressure, temperature, liquids, viscosity of fluids, and the rotating speed, our engineers are able to design the ideal seal for specific applications. Their deep knowledge and understanding of tribology and metallurgy allows them to choose the ideal materials for the best sealing performance at the best value. In almost all cases, ALTUS-SEAL engineers are able to design a seal within the existing seal cavity. This eliminates time consuming and costly changes to the seal cavity and to the equipment. ALTUS-SEAL uses the latest Computer Aided Design software to develop new innovations in our seal designs. With the help of our 3D modelling software and mechanical seal experience, custom designs seals are mostly available within one week. We ensure the quality of our products with our chosen imported parts. Raw materials, parts and complete assemblies are inspected and tested in all stages to prevent any lapse in quality. Finished products are pressure and leak tested before delivery. Altus also introduced into the Philippine industries the concept of mechanical seal refurbishing/reconditioning which was found out to be effective and in turn saves approximately 60% of the total cost of brand new mechanical seals. Copyright (c) 2015 www.altus-seal.com. All rights reserved. Design and development by mint-code-box.